Located only 10 minutes away from l’Arc de Triomphe, La Résidence Paris is an exclusive 4-storey Mansion that will offer its guests an exceptional experience in the French capital. During their stay, they can enjoy 800sqm of living space decorated with the finest furniture and pieces of Art and 5 star services with chefs, maids, shopping assistants or fitness coaches available at any time. The 4 bedrooms include 2 magnificent luxury suites with a view on a private garden and its 40 sqm swimming pool. 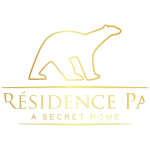 This safe haven is tailored for people looking for luxury, quiet, privacy and security while staying in Paris.